We offer a wide range of tuning options from economy remaps to maximum performance setups on all modern cars. We can also provide standard or tuned maps with the option of removing the DPF (Diesel Particle Filter), the catalytic converter and EGR Valve. All our maps can be tailored to your individual driving needs whether that be for increased economy or heightened performance or somewhere in between. We have the solution for you and your vehicle! Each and every map we create is backed by a comprehensive insurance policy for your peace of mind and if you think you’re not happy with the results, dont worry! We’ll return your car to standard and refund you the cost…..but we think you’ll be more than happy with the results! Performance Tuning is essential for those drivers who feel their vehicle is a not living up to its potential. By increasing the power of your vehicle you are providing yourself with a car that is safer for overtaking, more pleasurable to drive and puts the smile back on your face – without the outlay for a new vehicle. …Overall your vehicle will feel faster, smoother, more responsive and more pleasurable to drive and that is a money back promise! Don’t need more power? Cover lots of miles? Need to spend less on fuel? 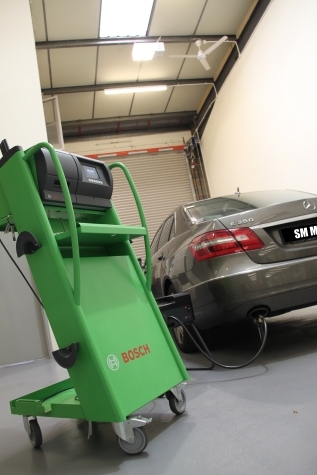 Economy Tuning is a fantastic way reduce the running costs of your vehicle. Most vehicles when tuned in this way with our software benefit from around a 20% increase in MPG with no loss of power or torque…. Bought a lovely a little car for my daughter from SM Motors, she’s very pleased with it! Thanks!